Dr. Kolibas attended St. George's University. 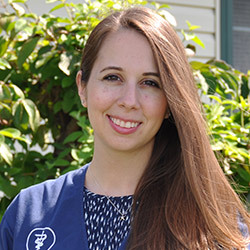 She joined the staff of Gettysburg Animal Hospital in December of 2016. Kristen shares her home with her husband, daughter, and two cats (Eris and Klaus).